How well do you know someone? If you find out some damaging information about someone you admired and respected would that change your view of that person? These questions get answered in a surprising fashion from Paloma: Book 5 of the Retrieval Artist Series by Kristine Kathryn Rusch. I have decided to read and review the entire series here on the website and I must write it has been an absolute pleasure following the adventures of Miles Flint, the Retrieval Artist and various characters that make up this series. This novel opens up with a murder. Flint discovers the dead person is his mentor, Paloma. Paloma taught him everything he needed to know in order to become a Retrieval Artist. Obviously, he takes her brutal death hard. Moreover, Flint receives an inheritance from Paloma of some valuable items that include a ship and information about her past. He reluctantly decides to dig into the information he received from the inheritance and learns that Paloma might not have been the woman he believed her to be. 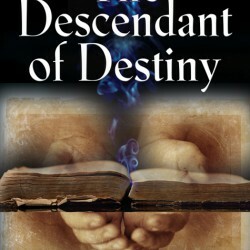 Paloma’s family, led by her son, Justinian, wants the information Flint inherited and will do anything to get it. The Retrieval Artist gets caught in the cross-hairs of Justinian’s determination to get his mother’s inheritance and the police’s investigation into her death. Flint finds out how blind justice can actually be now that he is on the other side of the law. Paloma is my favorite book of the Retrieval Artist Series so far. 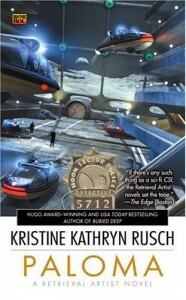 Rusch does another excellent job (as she has done on the previous books in the series) of combining a detective story within a science-fiction setting. The world building of this series has captivated me and fans of both the mystery and science fiction genres should add these books on their to-be-read list.